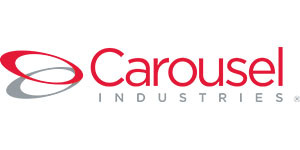 Bryant University is pleased to welcome back Carousel Industries, Presenting Partner, for the 2018 Northeast Intercollegiate Sales Competition. We would like to extend a heartfelt thank you to all of our valued sponsors. Your participation and support is vital to the growth and improvement of NISC. The continued success of this event has had an immeasurable impact on our students and all who participate. Sponsorships provide companies with exceptional visibility to a targeted audience. Sponsorships are available at 5 levels. Bryant University’s Northeast Intercollegiate Sales Competition supports the development of young sales professionals by providing students throughout the region with an opportunity to test and refine their selling skills. This two-day event provides a dynamic forum to showcase participants’ interpersonal and persuasive communication abilities as well as skill-building sessions. Sponsors play an active role in the competition and conference serving as judges, buyers and workshop speakers. Additionally, sponsoring companies enjoy the opportunity to meet and network with hundreds of aspiring sales professionals. How your gift is used? Corporate sponsorship of this event supports Bryant’s growing sales program underwriting the annual Northeast Intercollegiate Sales Competition and providing resources for related sales activities including Bryant students’ participation in other sales competitions.